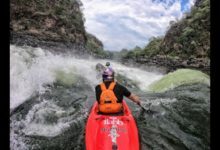 Adventurer and explorer Dan Bull has taken out one of the most sought-after titles in the field of extreme adventure, achieving ‘The Highest Kayak on Earth’, near the summit of the world’s highest volcano, Ojos del Salado. And he has been recognised by Guinness World Records for his achievement. “I wanted to combine my passion for heights with my love of water and pursue my dream of breaking a new world record,” Bull explained. 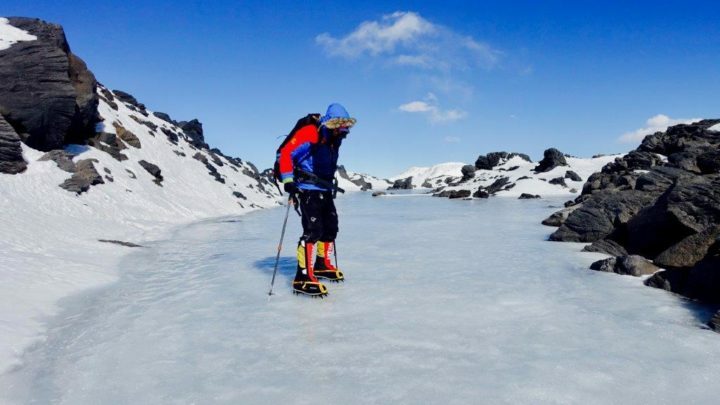 On a recent climb, standing alone on top of the world’s highest volcano, Bull spotted a small frozen lake just near the summit. “I was yet to survive the descent back down the volcano, but somehow I was already dreaming of my next adventure,” he said. 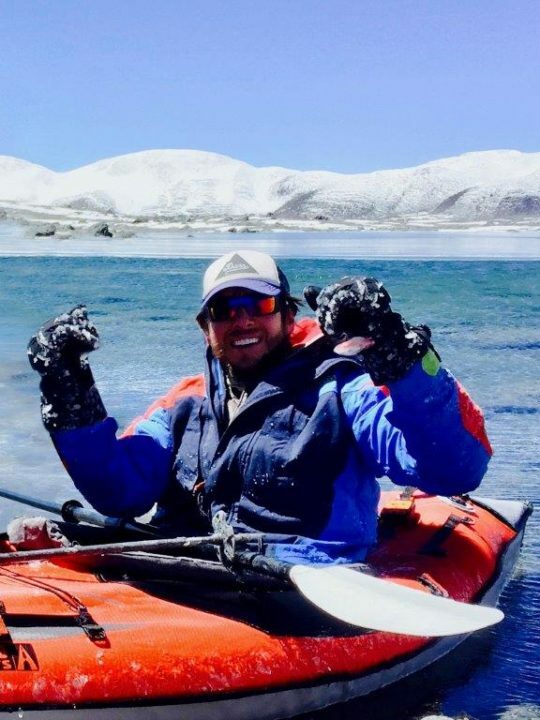 Only barely surviving the solo descent, he returned again this year – this time with his kayak – flying back to Santiago, Chile, then onwards to the mining town of Copiapó in the Atacama Desert (the site of the 2010 Chilean mining accident, where 33 men were trapped underground for 69 days) to begin his approach. The unnamed lake, since verified as one of the highest bodies of water in the world, sits on the eastern flanks of the world’s highest volcano, straddling the borders of Chile and Argentina. Ojos del Salado, a stratovolcano whose name roughly translates to “Eyes of the Salty One” from its native Spanish, comes from the enormous deposits of salt that, in the form of lagoons or ‘eyes’, appear in its glaciers. It is the highest mountain in Chile and the second highest mountain outside the Himalaya. In addition to the extreme high altitude, the summit towers 6,893 metres tall, the humidity can be as low as 2%. Despite the extremely dry conditions, snow storms can strike at any time, covering the surrounding area with a few feet of snow. The lake is located in the highest regions of the Atacama desert in the Andes, just beneath the summit. “The surrounding environment is not unlike what you might imagine witnessing if you were standing on Mars, or perhaps the moon,” Bull said. Speaking of which, more people have stood on the moon than have reached this lake, let alone stepped foot in it. Bull achieved the record without the use of supplemental oxygen, which would’ve been allowed under Guinness World Records rules. The decision to do so was not taken lightly. 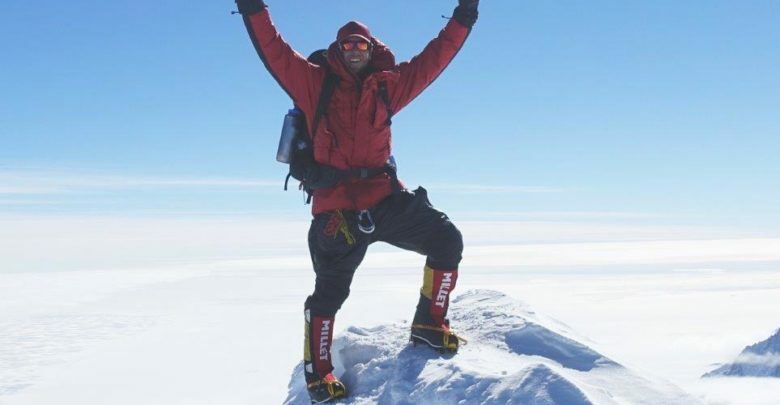 Bull is the current World Record holder for being the “Youngest Person to Climb the Highest Mountain and the Highest Volcano on each continent” (known as the 7 Summits & 7 Volcanic Summits). 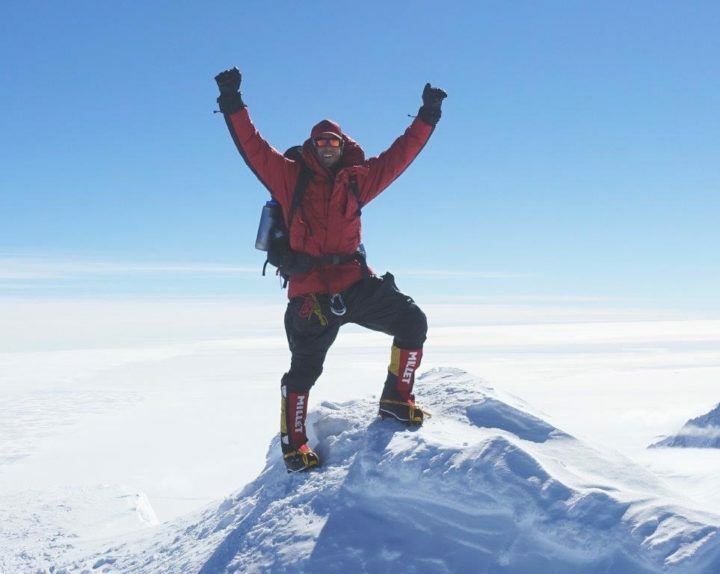 He also completed a successful unguided ascent of Mount Everest in his 20s. 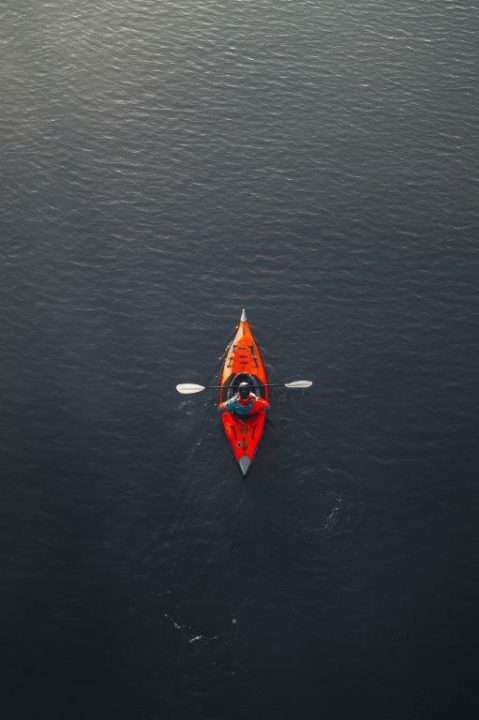 At the altitude of his new kayaking world record, there is less than 50% of the oxygen than at sea level. 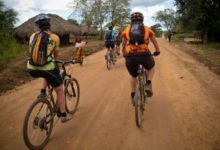 At sea level the air is thick and carries plenty of oxygen around the body. As you ascend, the atmosphere thins, there’s less oxygen available for your body, and your organs begin starving for oxygen. Headaches, shortness of breath, coughing, general weakness and confusion ensues. Despite the risks, Bull is motivated by the life-and-death struggle at extreme high altitude. 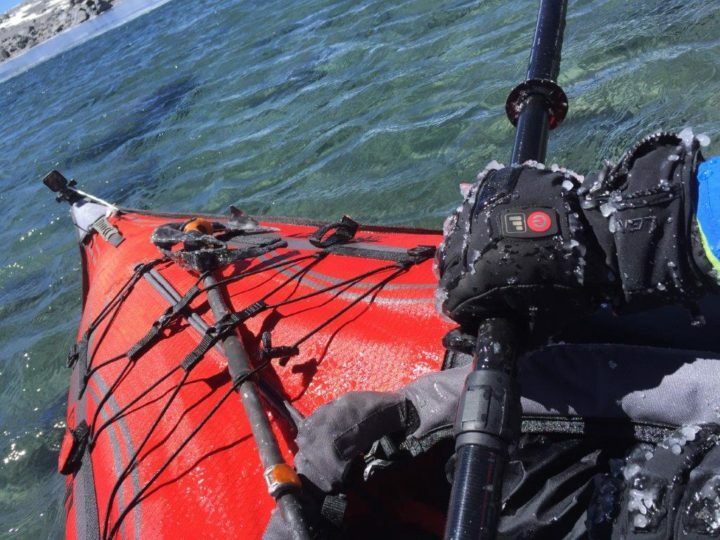 Executing the Highest Kayak on Earth wasn’t the only challenge Bull faced. 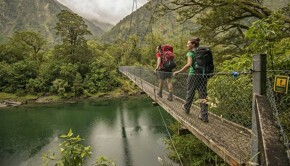 “As I climbed toward the lake, I experienced the worst snow seen on the volcano in two decades. I was trapped inside my tent, high on the mountain, for 3 days, surviving gale force winds up to 140 km/h and wind chill down to -45°C,” he said. 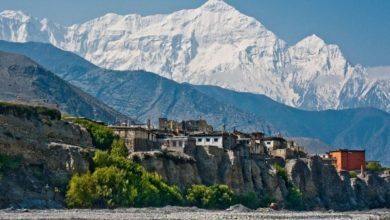 In addition to the extreme weather conditions, he had to battle with carrying his customised kayak up the mountain on top of his usual mountaineering and survival gear, weighing in excess of 50 kg. The water temperature was just on freezing at 0.1°C. The lake was freezing over as he watched from the shoreline and it was estimated that the lake would be inaccessible within a couple of days. 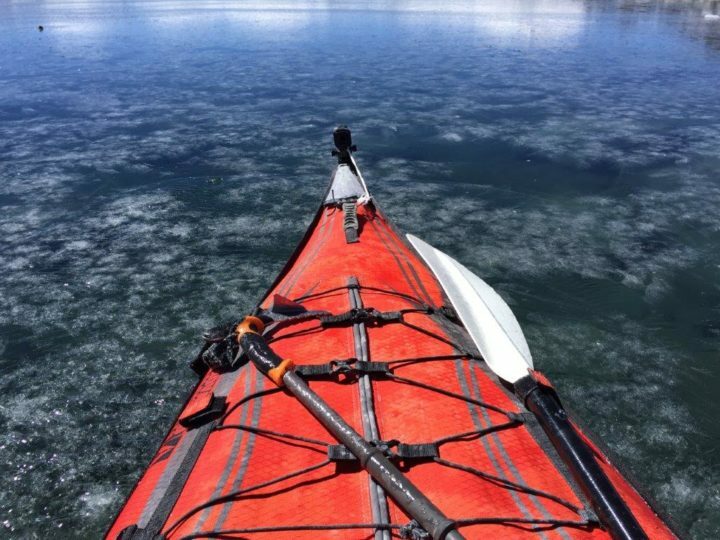 “Water froze instantly as it splashed onto my gear. I knew that if I fell in, I’d practically be snap frozen.” he said. 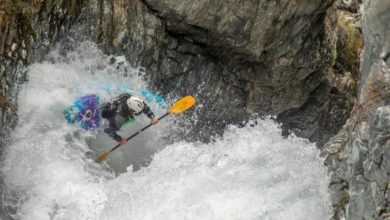 “I didn’t like the idea of becoming a permanent ice block, so it was a good motivator to retain balance as I paddled”. Paddling for over an hour in this inhospitable environment, Bull acknowledges that it was very much a mental battle toward the end. 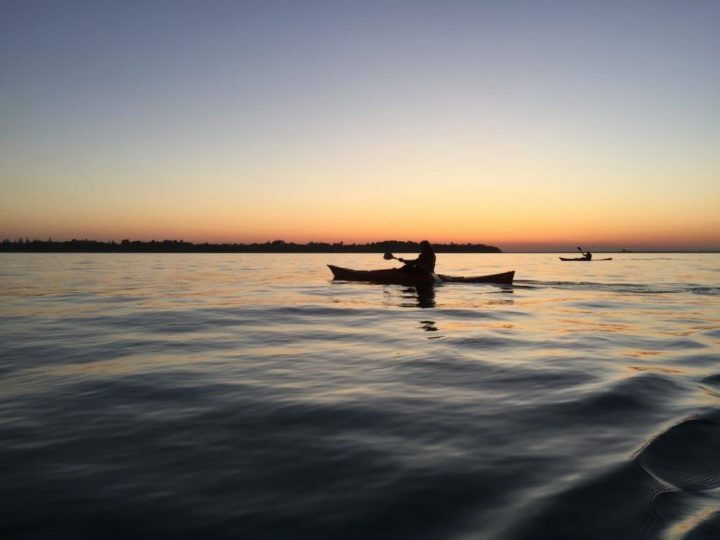 “Exhausted after completing the paddle and getting out of the water mostly unscathed, it would’ve been the easiest thing to just leave my gear and the kayak behind and get off the mountain”, explained Bull. They managed to recover the kayak and bring it back to base camp. The success has taken its toll. In terms of what’s next? Bull explains that whilst he’s actually very content being back at sea level, he’s considering whether to head back to the lake and have a shot at the Swimming World Record.